A pin pad is attached to each till directly. All transactions are processed over broadband, this speeds up transaction time and reduces errors, as the user does not have to key in the sale amount. 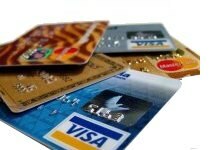 Whatever deal you have negotiated with your merchant provider stays in place, you just use our partners processing service and pay a set monthly fee to our partner instead of the bank for the use of the pad. Commissions will be taken as normal by your bank. This is where all transaction information is sent from the till to the CCTV DVR unit. 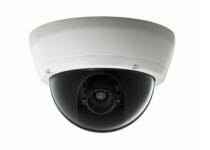 Most modern CCTV systems are capable of processing information sent from the till to the DVR recorder. This means what is happening on the till can be viewed as a text overlay on the footage. If you are having problems, you can easily search your DVR system. Examples could include searching for "No Sales"; "Voids"; "Specific Products" or to view all transactions by a certain staff member. This is available on all standard solutions from JustScan. Payzone is a provider of a range of electronic services designed to improve margins for retailers and increase footfall by offering a range of services. The Payzone module allows retailers to sell mobile phone top ups from any till, accept M50 toll payments, pay certain bills and new services are continually being added. A price sticker can be generated for every item in a delivery, which saves considerable time receiving stock in. If there are price changes, you can also generate new price stickers for all products that are in stock. 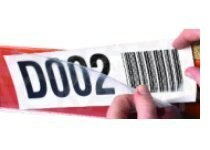 If certain products do not have a barcode, our solutions can generate a unique barcode, which can be printed and placed on products. 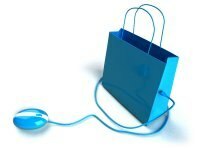 This is especially useful for items such as jewellery, giftware, furniture etc. 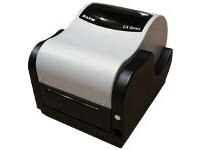 Similar to the item label printer, this printer will create a shelf edge label upon demand. This can also be used for deliveries E.g. if you receive a delivery with 30 products, the system can print the labels for those 30 products. This ensures your shelf pricing is kept up to date and avoids dissatisfied customers. We set out on our journey in 1996 to provide a user friendly, affordable solution for independent retailers that would help them manage their businesses more efficiently and in turn generate more profit. Now, with hundreds of installations under our belt, we are pleased to say we have achieved what we set out to do. © 2019 Retail Solutions - All rights reserved.